DOT stands as the abbreviation of Department of Transportation which was introduced for the purpose of assisting safety- sensitive employees subjected to the workplace with drug and alcohol testing to understand the requirements of DOT agency regulations. Why is it necessary? Asks many! Here some of its significance is dropped for your kind notice and after going through that definitely you would come to know about its need that targets public safety. And Dot Drug Test rolls as one such perfect example for that. The Department of Transportation (DOT) is emerged in the focus of leaving a safety environment for the people while transportation is under process. For that it is important to check whether the employee who are responsible in running the vehicle have to be in a proper condition to have a safe drive. As when driver fails, that would not only affect him but also turns threat to the people who are influenced to it which becomes a public issue. For this noble task to be achieved, the transportation industry employees like truck drivers, pipeline workers, train operators and airplane mechanics have to be taken appropriate test to ensure that they are alcohol and drug free. 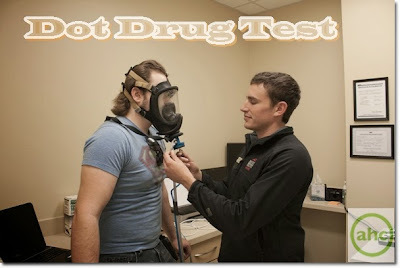 Astra Health Center provides a complete lab test for DOT Drug Test in Newark. Here the person will have to give his urine sample for testing. It will be checked whether there is any sign of cocaine, marijuana, amphetamines and opiates. Then they need to have a review with the analyst about the test. However it’s you who have to be ethical apart from all this and maintain a secured atmosphere.